Algeria: 80% Arab, 20% Berber, multi-party republic with a president and prime minister, approximately 38 million people, the land is 80% desert. More than a century where the colonized suffered famine, torture, illiteracy, illnesses, and misery. The 1st February, the FLN was formed and declared war against the French colonialist. Well organized and structured. 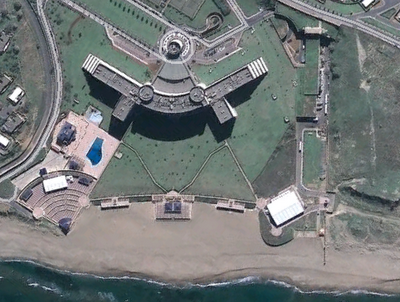 It was made of three levels. On the apex, were the governors, those who make strategies. Second level were the fighters, those who went on cities, mountains and stations to execute the order. Third, the spies, those who collected information. Moreover, the FLN had its own doctors, cookers, soldiers and sewers who were the Algerian people. 5th July 1962, Algeria got Independence. All the Algerian were in the street, people dancing, women making their famous “Youyou!” and hanging their flag which stands for liberty . 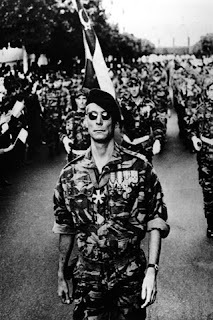 Read an interesting account of a Italian movie, The Battle of Algiers (1965). We aren’t madmen or sadists, gentlemen. Those who call us Fascists today, forget the contribution that many of us made to the Resistance. Those who call us Nazis, don’t know that among us there are survivors of Dachau and Buchenwald. We are soldiers and our only duty is to win. Their independence was not won easily with the death of over 1 million deaths over the course of eight years. Independence comes with a lot of responsibilities that is choosing the right people to lead the nation to a better future. Having followed this principle, in Algeria, their first attempt to have a fair and free election was doomed by unexpected riot and unrest among the different factions who disagreed with the outcome of the election. As a result of this dispute a prolonged civil war took place until 1992. In 1992, a fair and free election took place in Algeria and the Islamic party won the majority seats. Soon after the election coup-d`etat took place and their parliament was dissolved. A military regime stayed in power until 1999. Now after the Islamic party was not going to give up without a fight. So they rioted and the government banned the Islamic society. This is only going too led to fighting between the two groups. The fighting continued and the death toll rose. By 1999, 70,000 people had been killed due to the fighting. Later on in 1999, Abdelaziz Bouteflica, the recently chosen president came into office with a goal and did his best to achieve his goal. His goal was to bring peace between the two sides and new ways of voting. 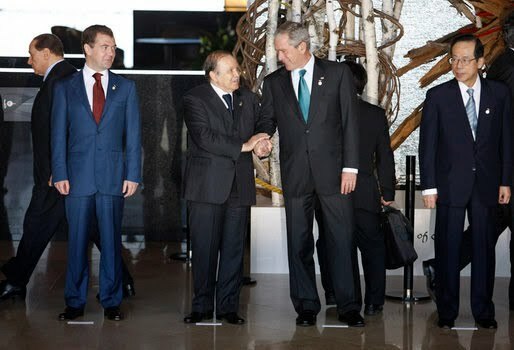 Bouteflika was also active on the international scene, presiding over what many have characterized as Algeria's return to international affairs, after almost a decade of international isolation. He presided over the African Union in 2000. Algeria has been particularly active in African relations, and in mending ties with the West, as well as trying to some extent to resurrect its role in the declining non-Aligned movement. However, it has played a more limited role in Arab politics, its other traditional sphere of interest. In 2006, the GSPC was officially accepted as a branch of al-Qaida in a video message by Ayman al-Zawahiri; soon thereafter, it changed its name to al-Qaida in the Islamic Maghreb (AQIM). Bouteflika has kept the amnesty option open – apparently open-ended despite the end of the deadline stipulated by the reconciliation law – while simultaneously pursuing the rebel group militarily. Algerian forces have scored several major captures of GSPC/AQIM commanders, but the groups top leadership remains at large, and armed activity is frequent in Kabylie, with AQIM-connected smuggling networks active in parts of the desert south. Unlike in previous years, AQIM have begun using suicide attack tactics and in 2007-2008 launched several major attacks in Algiers and other big cities. 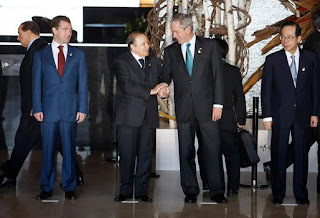 Recap: Bouteflika is a player with the West. Legitimate Islamic resistance in Algeria morphed into al qaeda over time. Top people of course remain at large and began escalating the violence over time. The war on terra continues. Algeria in the news today. US and Maghreb companies and employers, as well as officials from the White House are to partake in the first US-Maghreb investment conference in Algiers on 29 and 30 September. In fact, the United States has chosen Algeria to be its starting point towards boosting its economic presence in the Maghreb, through refreshing Eizenstat initiative. The conference is to be organised in coordination with the US-Algerian council and the US Secretary of State. It is to be preceded by a visit of the US Trade and Investment Mission, which includes representatives of 50 companies. This visit is to be organized by the US-Algeria Business Council in collaboration with the Embassy of Algeria, in Washington, DC, between 25 and 30 September. This year, Mr. Paul Mikolashek, Chairman of the US-Algeria Business Council and Vice President of Raytheon International, will lead the US Trade Mission to Algeria. Such a visit reflects the interest the United States reserves to the Maghreb region, including Algeria. Thank you for alerting us to the China-Israel links, the Algeria-USA links and the Algeria-China links. my pleasure. i hope nothing happens but unfortunately no matter where we look there are intrigues and double crosses going on. Hey Campo,...This whole NWO thing is just such a massive con-job, anything goes. I think wahatever they think will work for them, is their agenda. what amazes me is that i can see something mildly interesting and new to me, and simply by asking the right questions one can find their fingerprints all over the place. it does seem like they have hundreds of ops going and they just pull whatever forward as needed. options i guess.